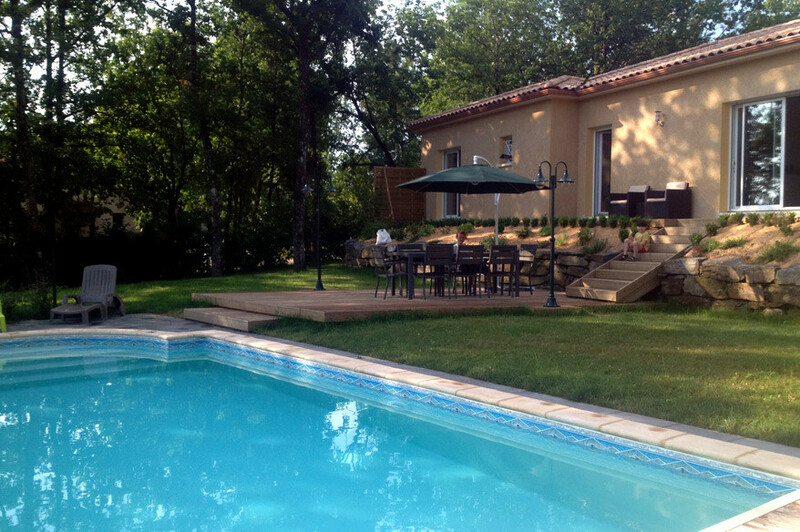 This holiday house, brand new with a modern, ground floor, is situated in a peaceful and idyllic Black Perigord and near tourist sites of Dordogne. 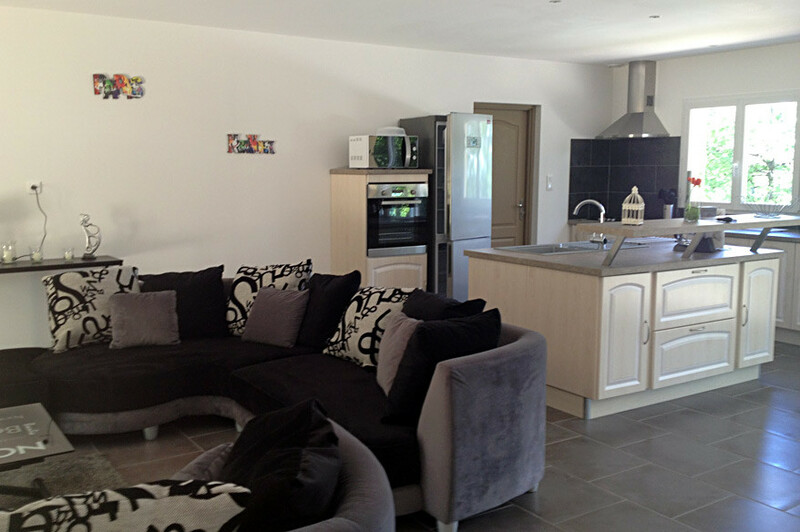 The house is located Sylviane At 4 kms one of the most beautiful villages in France on a small country road, St Leon sur Vezere with the bakery grocery store, café / bar and sunny terraces and local restaurants. 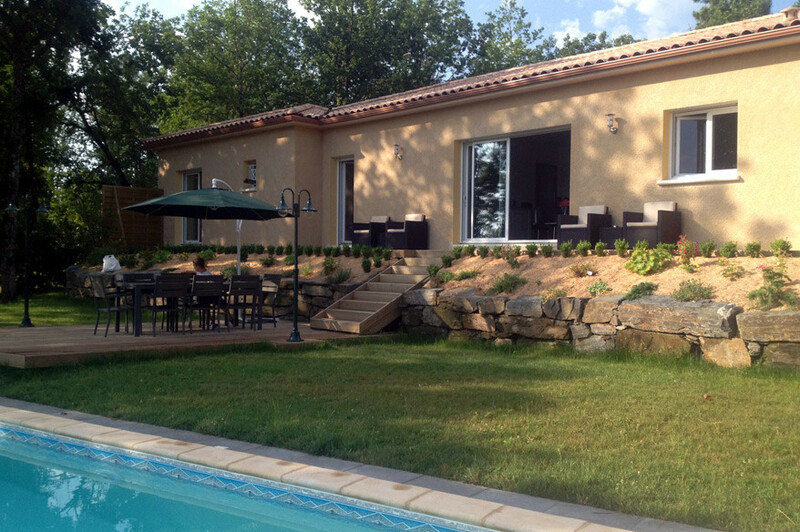 At 12 km from the town of Montignac and the famous Lascaux cave paintings, you will enjoy the benefits of having a rural environment while being close to modern amenities. 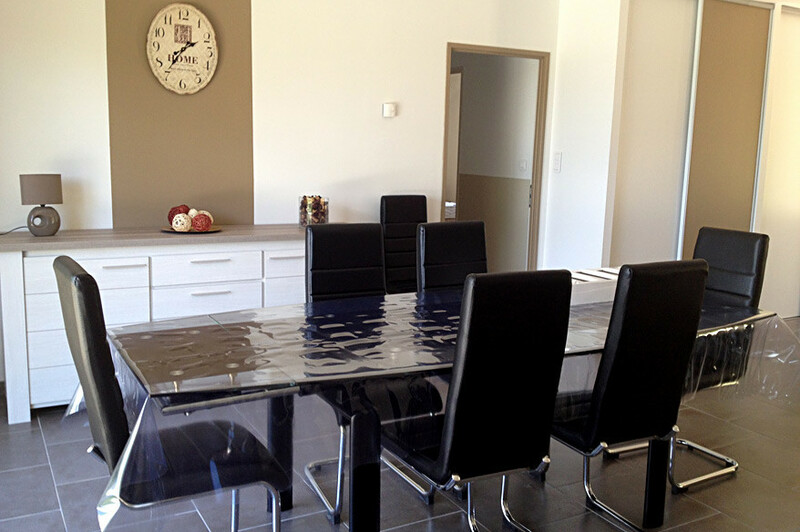 The house offers a living and a very comfortable and can accommodate 8 persons + 1 baby. A large living room with integrated storage in the lobby space, open kitchen (fully equipped: dishwasher, microwave, oven, Senseo, fridge-freezer ...), sitting area (sofa comfortably equipped with , coffee table, TV ...) and a dining area with a table that can easily accommodate 8 people. 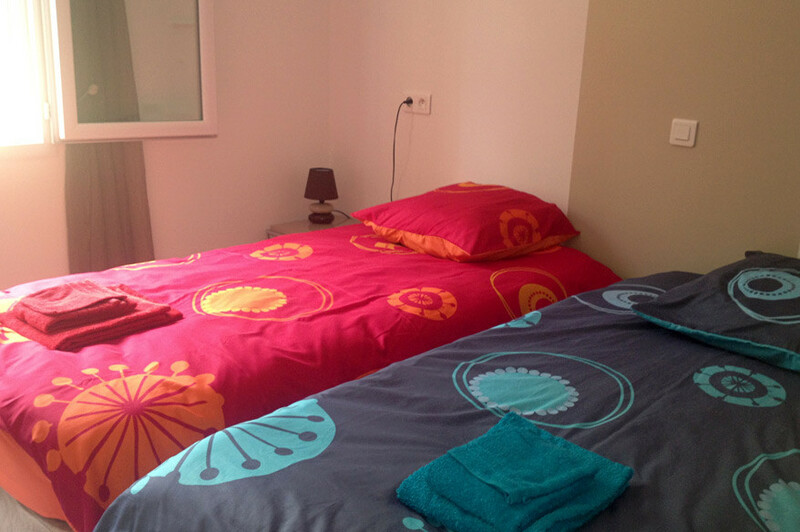 You will receive a brightness greater because all rooms are equipped with large windows. A corridor leads to the 4 large bedrooms, a toilet and a private bathroom. Mattresses and duvets and pillows are of high quality (brand DUNLOPILO). Bedroom 1 with twin beds, each measuring 90x190cm (these beds can be separated or joined after the needs of the family), wardrobe and sink. Bedroom 2 with twin beds, each measuring 90x190cm (these beds can be separated or joined after the needs of the family) and storage. From this room you will have access to the outside terrace and pool. Bathroom with corner bath, a walk-in shower, basin and toilet. Bedroom 3 with double bed 160x190cm, cupboards and sink. From this room you will have access to the outside terrace and pool. 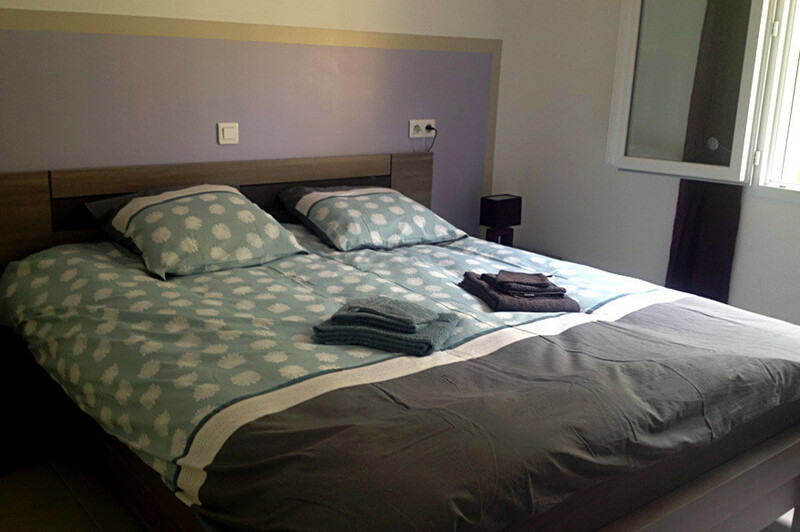 Bedroom 4 with double bed 160x190cm, cupboards and sink. 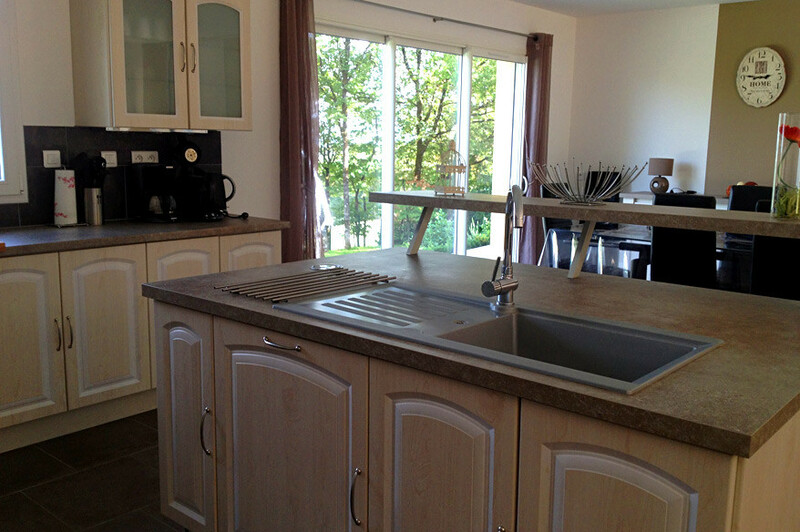 A garage is attached to the house where you can easily park a car and where you get laundry area with washing machine. A 8x4m heated pool equipped with an alarm system for the safety of children and a shutter in order to keep the heat accumulated during the day. This is an outdoor swimming foot with a depth of 1.70m. 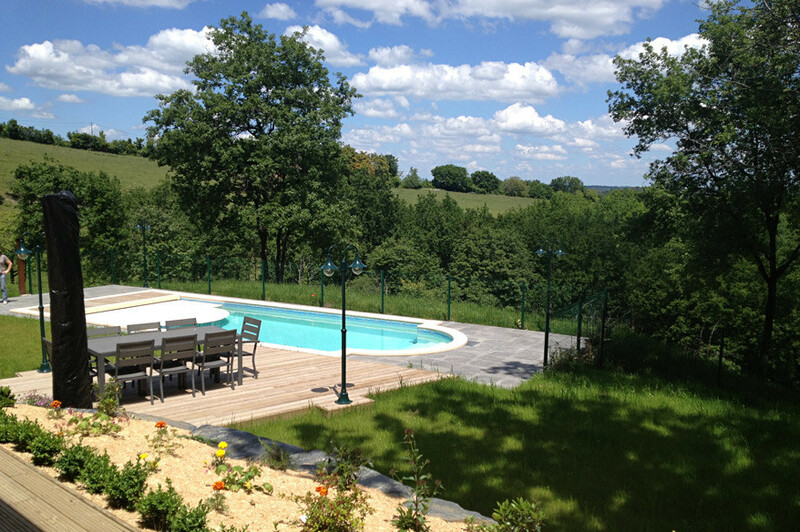 Pool terrace you will have a slate and wood with all the necessary garden that will allow you to relax, enjoy nature and the panoramic view of the countryside (barbecue, sunbathing ...). The garden is well kept and fenced allowing parents to have peace of mind for the safety of children.